With some super scenic drives, lovely lodges and incredible wildlife, this itinerary is our most popular self-drive tour of Namibia. Visiting first the magnificent dunes of Sossusvlei you will then stay in the quaint coastal resort town of Swakopmund with its Germanic colonial architecture and exciting activities in the nearby dunes, on the sea and from the air. Next comes stunning Damaraland, renowned for its desert adapted elephants, ancient rock engravings and beautiful scenery. 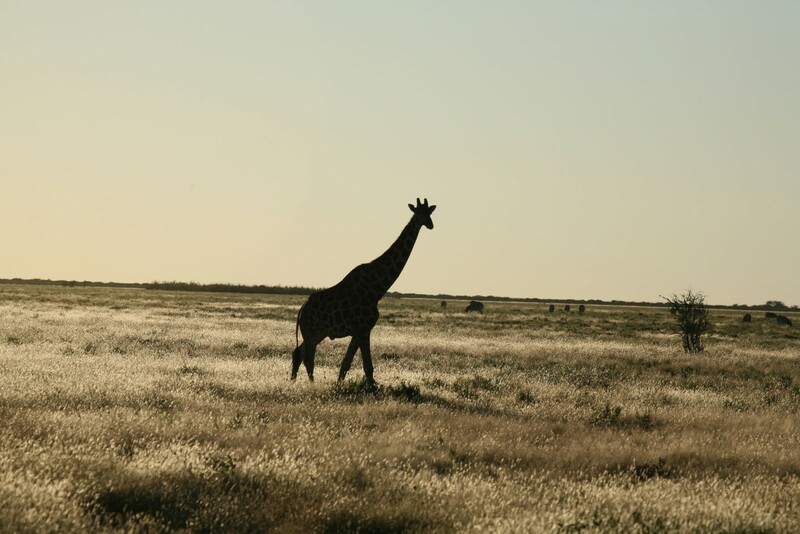 From there you drive into another world again, with Etosha’s woodland, great white salt pan and abundant wildlife. 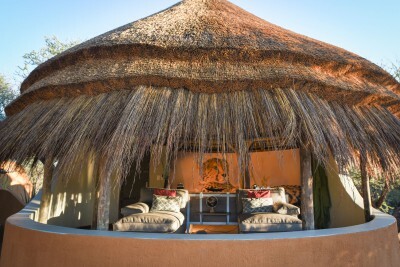 Spend a good amount of time on safari at Etosha before your big cat finale learning all about AfriCat’s exemplary conservation efforts at Okonjima. The impossibly beautiful and varied scenery, the abundant wildlife and the friendly people of Namibia make this one of the best value self-drive adventures in the world, one which works equally as well as an adult tour and as a family holiday with older children . Arrive Windhoek, met on arrival and transfer to the centre of Windhoek. There will be a briefing and information given before the hire car is delivered. Staying at Galton House. Includes Breakfast. 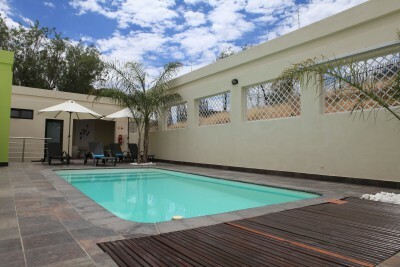 Self-drive over the scenic Khomas Hochland to your lodge next to the Namib Naukluft National Park. 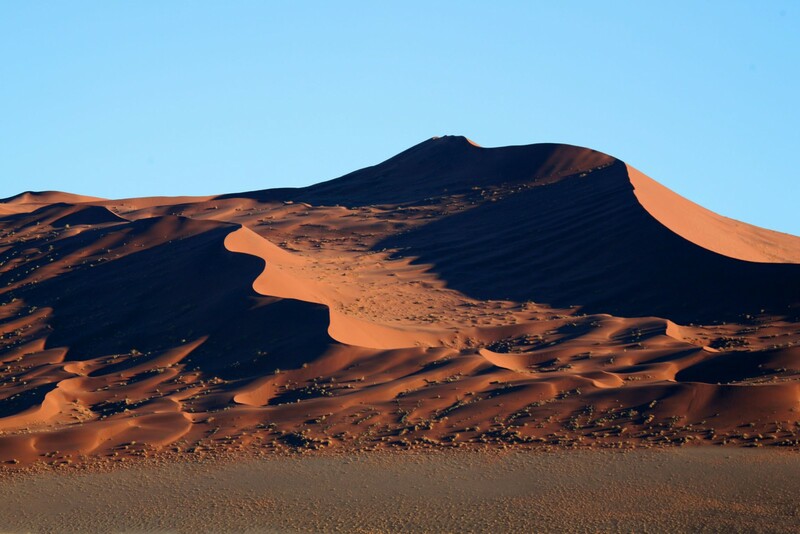 The National park encompasses the breath taking Namib desert, home to specialised flora and fauna and some of the largest and oldest sand dunes on earth. Optional excursions such as horse riding and guided walks. Staying at Desert Homestead. Includes Breakfast and Dinner. 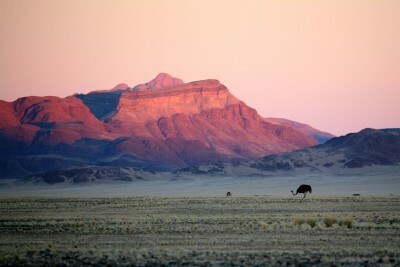 Self-drive to Sesriem and into the Namib-Naukluft National Park. 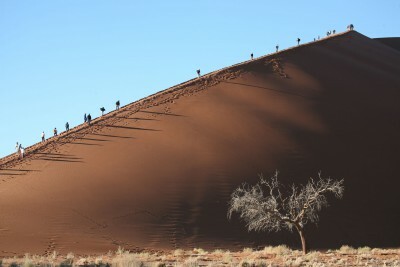 Take a stunning walk (or optional shuttle) to Sossusvlei and Dead Vlei. These two natural clay pans offer sensational natural wonders with outstanding photographic opportunities. The moon-like landscape includes sand dunes over 300 metres high and trees over 500 years old. Return to Sesriem and visit the Sesriem Canyon. Today drive to Swakopmund, perhaps visiting the Gaub and Kuiseb canyons, gravel plains and spotting welwitschia mirabilis plants en-route. Time to explore this colonial seaside town and arrange tomorrow's activities. Staying at Cornerstone Guesthouse. Includes Breakfast. Day at leisure in Swakopmund. 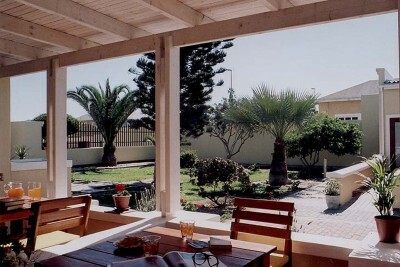 Optional excursions include kayaking or a luxury catamaran cruise from Walvis Bay in search of dolphins, seals and other marine wildlife, Living Desert Tour, a scenic flight over the extraordinary Namib Dune Sea and coast with shipwrecks and abandoned diamond mines (highly recommended), adventure activities, museum and more. 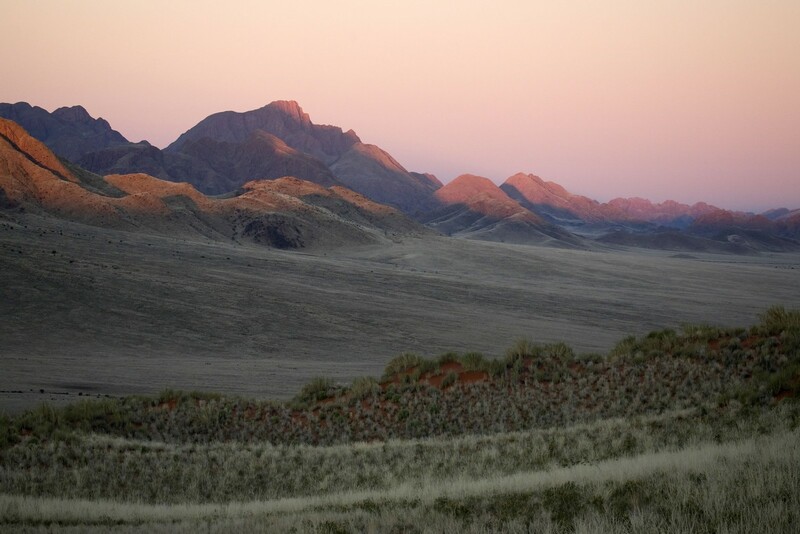 Scenic self-drive via the foothills of Brandberg Mountain to Damaraland. Optional activities include visiting the Twyfelfontein Rock Engravings (World Heritage Site), Burnt Mountain and the Organ Pipes. 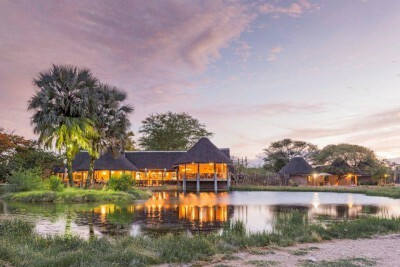 On arrival at the lodge take a guided nature walk or relax in your beautiful surroundings at the lodge. Staying at Camp Kipwe. Includes All Meals. 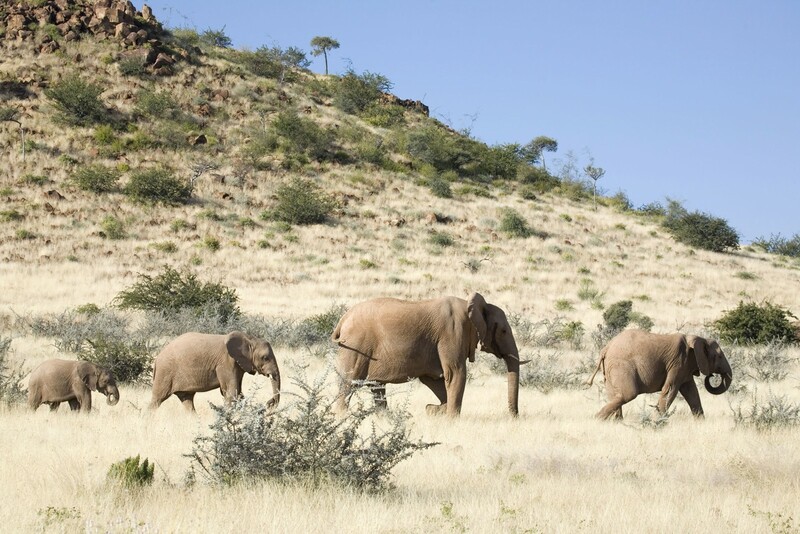 Optional: Morning in Damaraland to look for desert adapted elephants in the Aba-Huab River. 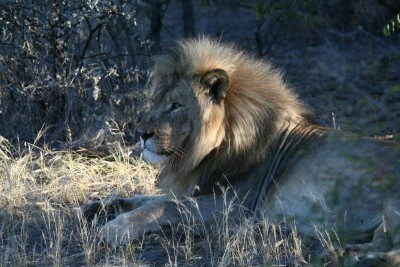 Then drive to Etosha National Park. Enjoy animals coming to you at the camp's famous waterhole. Staying at Okaukuejo Camp. Includes Breakfast and Dinner. 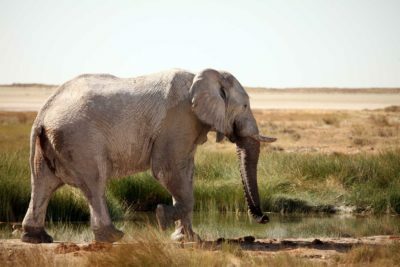 Day to enjoy a self-drive safari in Etosha National Park. The Etosha pan is a large saltpan formed by wind action and supports a great diversity of flora and fauna. The park is known for its large concentrations of game, particularly around waterholes, and the attractive endemic race of black-faced impala and population of black and white rhino. Optional guided open vehicle safaris including the option for a nocturnal wildlife game drive from your lodge, which is in the park. Take a leisurely drive eastwards through Etosha National Park, game viewing as you go. Exit at the Von Lindequist Gate. Staying at Onguma Bush Camp. Includes Breakfast and Dinner. 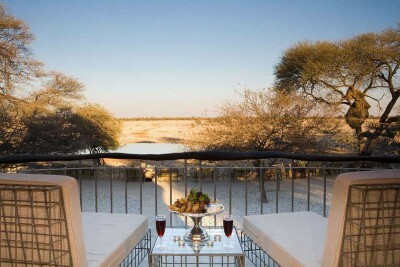 Day to explore the eastern section of Etosha National Park. 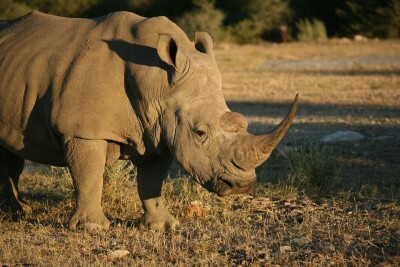 Today drive to Okonjima, perhaps visiting the REST (Rare and Endangered Species Trust) project en route. 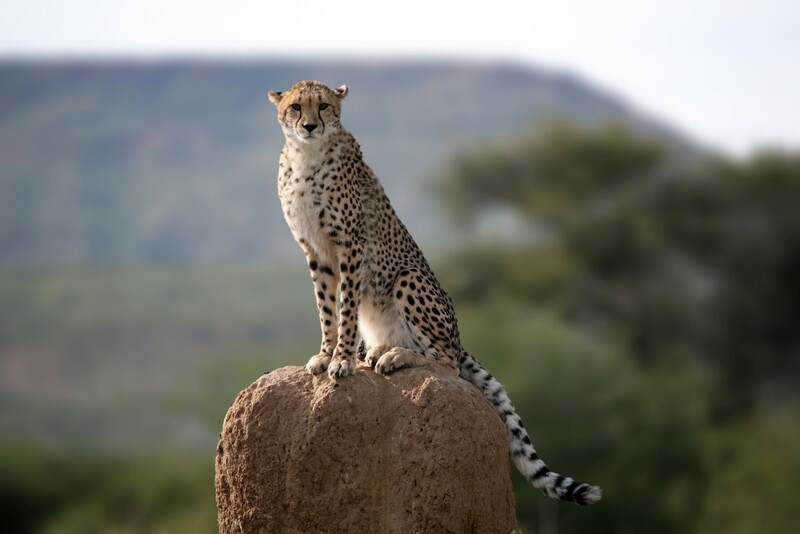 Afternoon activities with the AfriCat project such as visits to the leopard and cheetah rehabilitation projects and after enjoy a guided tracking of local predators such as leopards, cheetahs, African wild dogs and spotted hyenas. Staying at Okonjima Plains Camp. Includes Breakfast and Dinner. Morning and afternoon excursions with the AfriCat team. 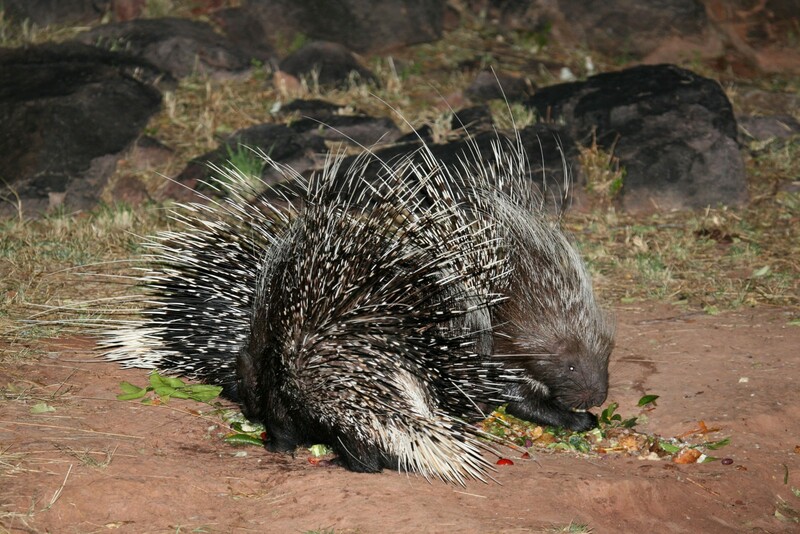 Perhaps visit the night hide for viewing of nocturnal animals such as the elusive honey badger and porcupines. 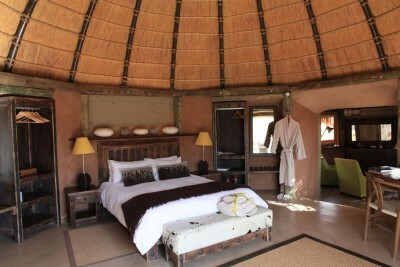 Staying at Okonjima Plains Camp. Includes All Meals. Return to Windhoek. Return your hire car. Take flight back to the UK. This excellent value, self-drive circuit works really well as a holiday for families with older children, say from 10 years upwards, and for adults. Please get in touch with us for a definitive quotation based on the actual details of your party. 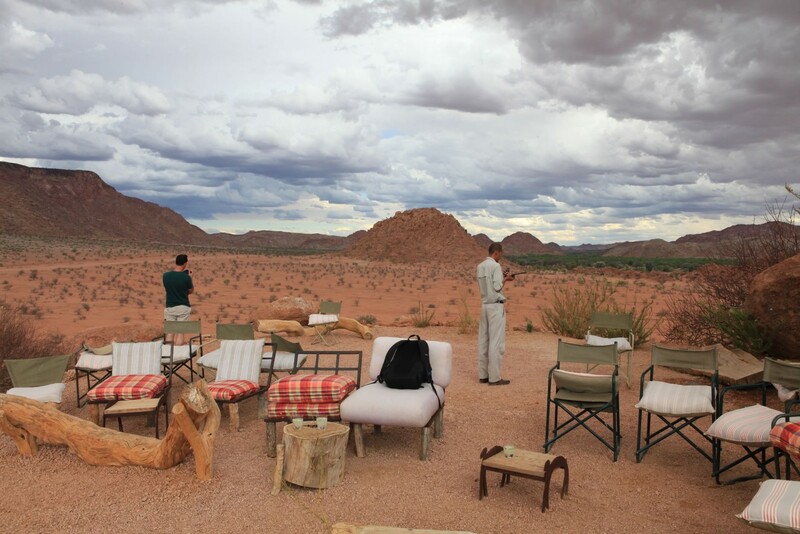 Upgrade to the Bush Camp at Okonjima to enhance your stay with AfriCat. This was our second visit to Namibia in just over 12 months, with Reef and Rainforest and our seventh consecutive wildlife trip with them. I think that speaks for itself. This year we were particularly keen to try and observe some desert adapted Lions. The Lions found in ‘The Namib Desert’ are genetically identical to those found in the rest of Southern Africa but have adapted to live in one of the harshest environments on earth. They number around 150 and have a huge range, and are rarely seen. They came to prominence in the outstanding documentary film ‘Vanishing Kings’. The best chance of observing members of this subset of Lions is during a stay at Hoanib Skeleton Coast Camp, although sightings cannot be guaranteed and weeks can pass by without any success. Therefore a stay at this camp was at the heart of our itinerary and we were very lucky to spend time with a Lioness and her niece who had killed an Oryx in the conservancy. The camp itself is absolutely outstanding in every respect and the location is just spectacular. Visitors should be aware that this is not ‘The Serengeti’ and that the wildlife is quite thin on the ground. However you would have to be very unlucky not to see Elephant, Giraffe and several other species. 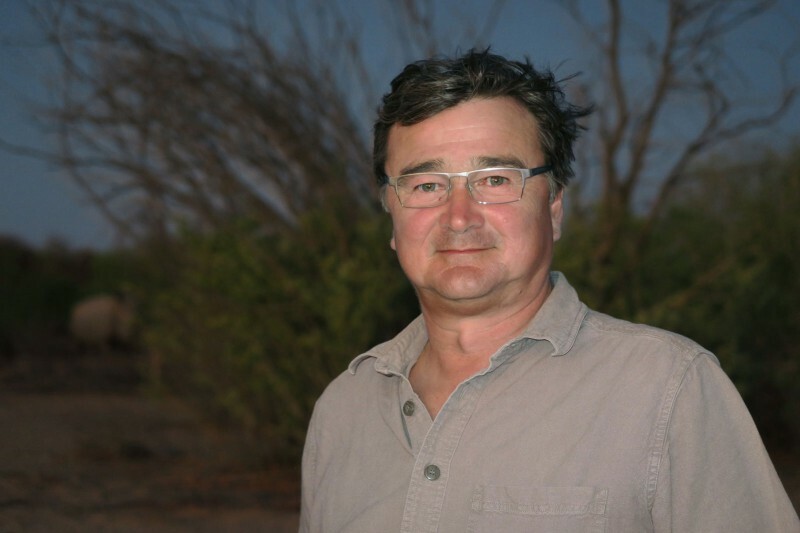 Whilst we were out in the desert we were lucky to bump in to Dr P. Stander who has dedicated the whole of his adult life to the conservation of The Desert Lion, what a thrill. The day trip out to the coast was pretty special as well. 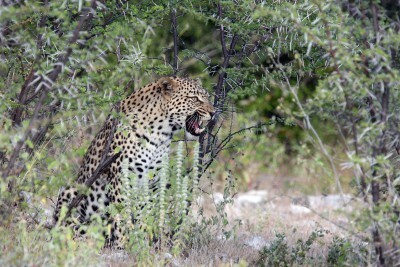 The rest of the itinerary worked very well and we were very pleased to have three full days in Etosha N.P. where we recorded 25 mammal species, including 32 individual Lions, observed the aftermath of 4 zebra kills, 11 Rhinoceros (both Black & White), an African Wildcat and the rarely seen in Etosha, elusive Leopard. So a big thank you to ALL at Reef and Rainforest, another highly successful trip, you certainly delivered again.